original painting & prints of Stormy Sunset over Broadford Bay, Isle of Skye, Inner Hebrides, Scotland. Broadford Bay, Stormy Sunset, Isle of Skye, Inner Hebrides, Scotland. 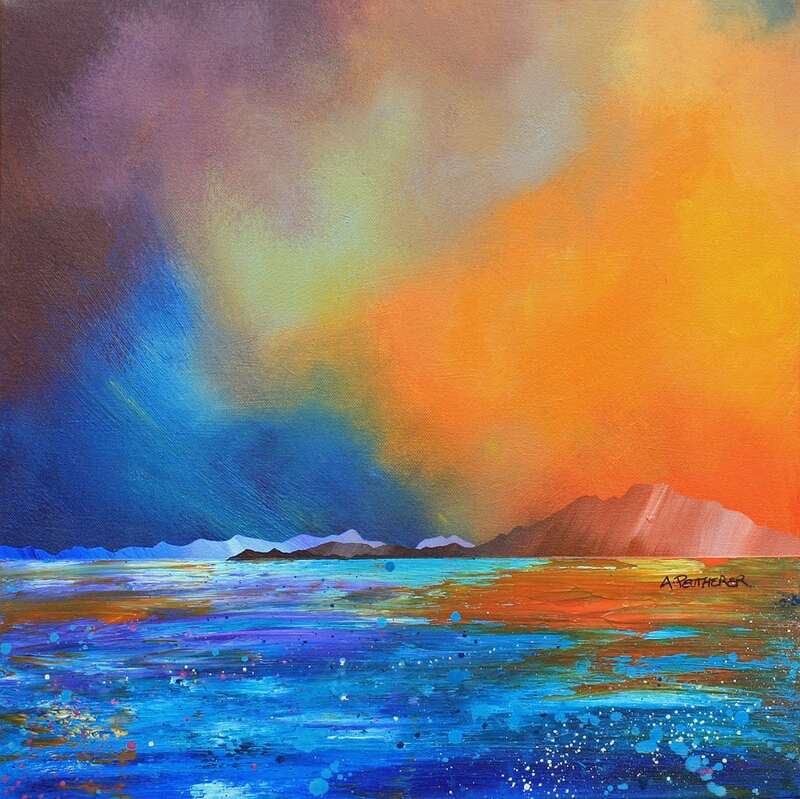 An original painting & prints of Stormy Sunset over Broadford Bay, Isle of Skye, Inner Hebrides, Scotland. An original abstract, atmospheric seascape / landscape painting of a stormy sunset over Broadford Bay, Isle of Skye. Paintings & Prints of Skye - Stormy Sunset over Broadford Bay, Isle of Skye, Inner Hebrides, Scotland.